Four different dinosaurs on colorful backgrounds. 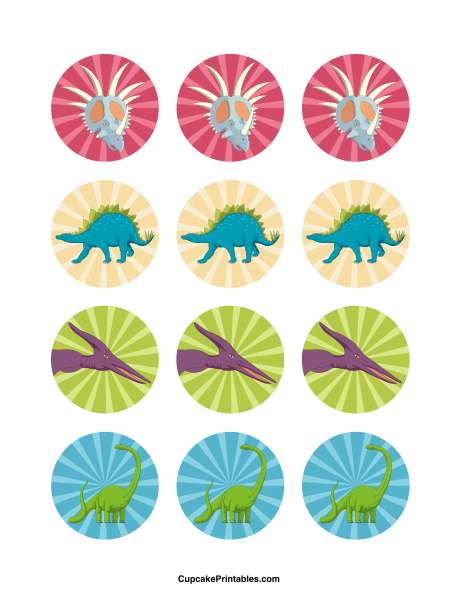 The dinosaurs include brontosaurus, stegosaurus, pterodactyl, and more. These 2-inch circles can be used as cupcake toppers, party favor tags, and more.